For foreign travellers on working visas, the Whitsundays are an obvious choice of destination to try to obtain employment and stay in the region for some time. For many travellers, the ideal job in the Whitsundays would be working on the crewed overnight sailing boats as crew or a host – and for some, this is very obtainable. The best way to find work on the boats is by visiting the Airlie Beach marinas and tracking down boat operators directly. For those who are qualified to work as a dive instructor or skipper this jobs also pop up from time and time, and again the best thing to do is chat to the owners directly. And as a popular tourist town with a high turnover of staff, there are always casual jobs on offer on the mainland; from fruit picking around the surrounding areas of Proserpine, and stacking shelves at the supermarkets, and particularly around Christmas time, most retail outlets are looking for temporary employees to assist during the busy period. Alternative jobs which are always available are casual housekeeping, waitressing and bar work throughout Airlie Beach, and on the Whitsunday islands resorts at Hayman Island, Hamilton Island and Daydream Island. For other job opportunities, check out the local noticeboards, newspapers, Gumtree and social media. What is the difference between diving and snorkelling in Cairns and Airlie Beach? 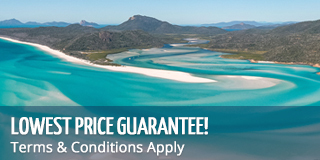 What Whitsundays holiday is right for you? How do I get to the Whitsundays?